This Oct. 10, 2014 photo released by California Department of Corrections and Rehabilitation shows Juan Vallejo Corona. 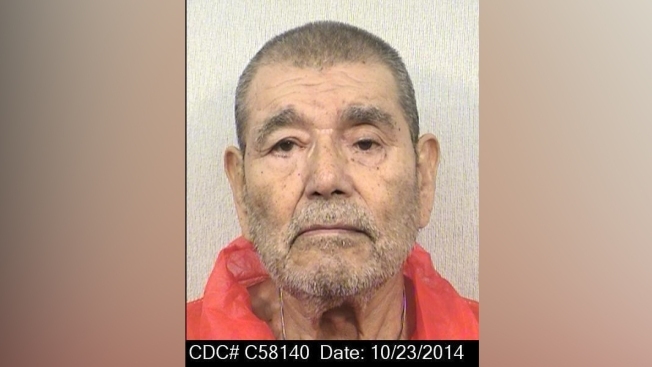 California officials say Corona, the man once known as the nation's most prolific serial killer, has been denied parole again for more than two dozen murders 45 years ago. Corrections department spokesman Luis Patino said on Nov. 10, 2016, that 82-year-old Juan Vallejo Corona was denied parole on Wednesday for another five years. The California man once known as the nation's most prolific serial killer has died at age 85. The state Department of Corrections and Rehabilitation says Juan Corona died Monday of natural causes. Corona was convicted in 1971 of killing 25 farm laborers and burying their bodies in shallow graves in rural Northern California. Prosecutors say he met his victims through his farm-labor contracting business. He stabbed most of the victims to death and buried them along the Feather River north of Sacramento. An appeals court overturned Corona's initial conviction in 1978, ruling he'd received inadequate representation from his lawyer. He faced another trial and was convicted of the same charges. Corona was serving 25 consecutive life sentences and had been denied parole eight times.